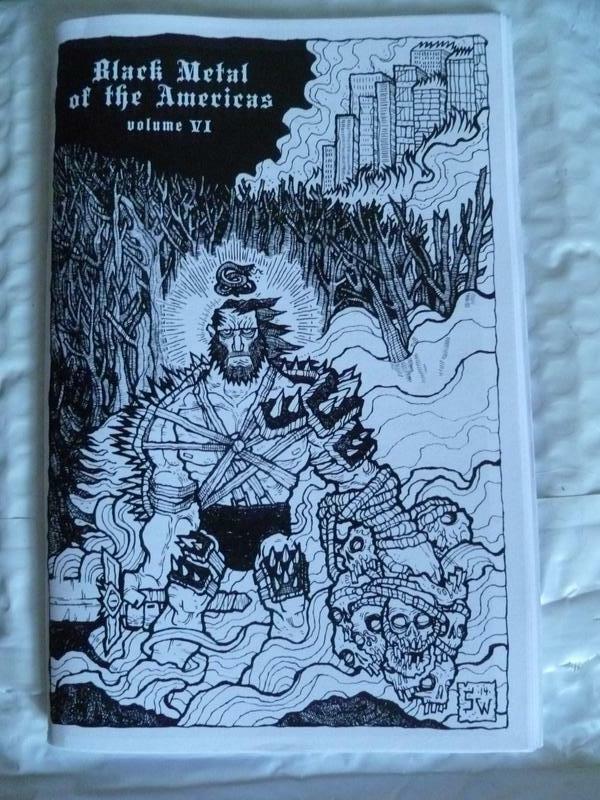 This zine is the sort of thing you get when you crossbreed black metal with the intersectionality that is currently preached around universities in the United States and will undoubtedly hit those Western European unis hinged on postmodernism within a year or so. 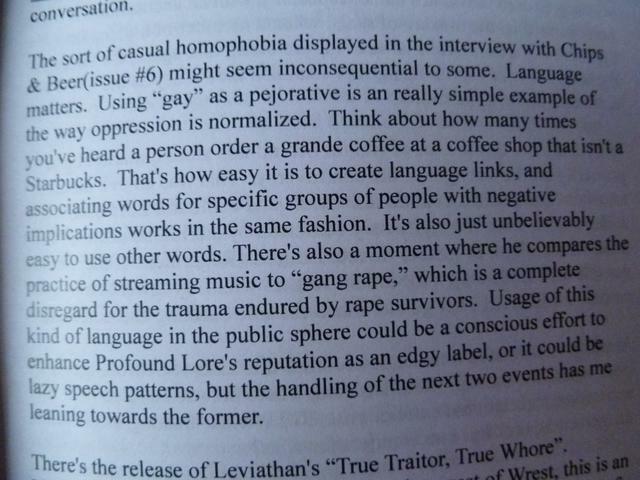 So unless you are the kind of black metal fan who likes to partake in the masochistic pastime of reading about white privilege, transphobia and other such terms dreamt up by the politically charged American academia, reading this magazine from start to finish will prove a challenge. 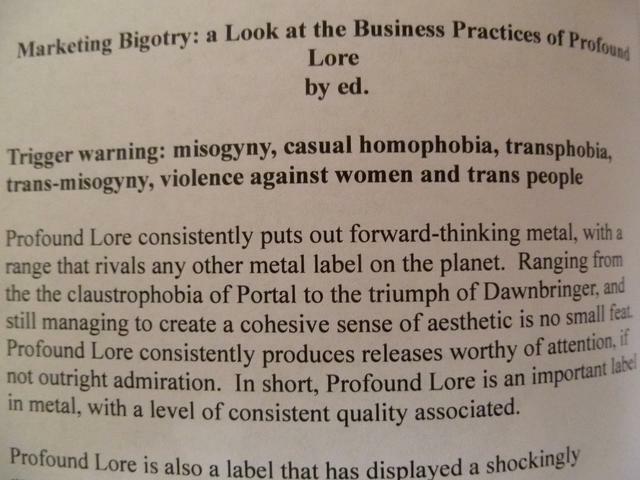 This is a shame because, in all honesty, editors Patrick and Ed are skilled writers who at least attempt to view black metal in a broader perspective. If anything, their contemplations make for more seasoned food for thought than the typical knuckle-scrapers who think they still live in the ’80s and yap on about satanism as if it is some sort of virtue to indulge in this state-sponsored religion. That being said, though, this brand of intersectionality on steroids is ultimately a self-defeating ideology built on the wobbly foundation of neo-puritan hypersensitivities and petty political literalism. As a result, this magazine has the unintentional yet welcome side-effect of showing us that metal, in all its ambivalence and multi-dimensionality, is not compatible with the more priggish fringes of political discourse. Older issues are reportedly less political, but I have not got around to checking them out yet.